Most charged assaults involve an alleged unconsented-to physical touching of another, although it can also include threatening behaviour (s. 265, Criminal Code). There are three basic kinds of assault covering a wide range of violent conduct: common assault (s. 266, Criminal Code), assault with a weapon or causing bodily harm (s. 267) and aggravated assault (s. 268). Cases of common, or simple assault are usually cases where physical violence is alleged but the injuries suffered are not serious. While technically, penalties for common assault can range as high as five years in jail, as a practical matter, on a first offence, jail time is extremely rare. More common dispositions include fines or periods of probation. Conviction, however, will usually carry with it a criminal record and may prevent you from being able to visit the United States. Self-defence and consent are common defences to assault. You cannot, however, consent to the infliction of bodily harm. Thus, if you break someone’s nose in a barroom fight, you cannot argue that he agreed to the fight. Neither will the consent defense be available if weapons are used. In terms of self-defence, you can only defend yourself to the point reasonably necessary to prevent an assault or its repetition. The infliction of grievous bodily harm or death while defending yourself can only be justified under narrow circumstances, requiring that there be a reasonable apprehension of death or grievous bodily harm and no other way to preserve your safety. As these case are what we lawyers like to call “fact-driven”, it is impossible to set out a detailed account of all the possible scenarios. Interestingly, if you are relying on the defence of self-defence, you are entitled to adduce evidence of a complainant’s propensity for violence, regardless of whether you were aware of it at the time of the incident. In other cases, this sort of evidence would generally be held inadmissible as irrelevant, however it is permitted in these cases. We take full advantage of that in appropriate cases by requesting disclosure of any information regarding the propensity for violence by the complainant that may have been gathered by the police on other occasions. Although the charge is the same (common assault), the considerations in defending a charge of this nature are very different. For starters, most people arrested on this charge are being arrested for the first time. So it can be quite a shock to be booked into custody, spend an uncomfortable night in cells, and then get released the following day on the conditions that you move out of your house and have no contact with your wife or girlfriend and sometimes even your own children. If the couple is planning on staying together, these cases have to be handled delicately and diplomatically so that going through the legal process does not further damage to the relationship. Thus, the first step we take in these cases is to try and amend the terms of release to permit your return to the family home. There are a variety of options apart from going all the way to trial to resolve the case in a way that does not saddle you with a criminal record. These would include a diversion, a peace bond, or a discharge. The availability of these options varies depending on the handling of the case, the underlying facts and the jurisdiction in which you are charged. The statement above is not legal advice. It is simply intended to give a very general understanding of this offence and some of the possible issues and defences that might be considered in defending it. 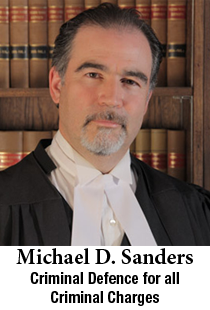 For legal advice on assault and spousal assault, click here.